This report focuses on the types and styles of gas fixtures which appeared in the rooms and on the streets of 19th and early 20th century America. It does not describe the scientific methodology for the manufacture of gas, nor the technology of pipe installation. A chronological approach has been adopted in the hope that the text and illustrations may serve as guides for avoiding anachronisms in preservation projects, as well as exemplifying the types of installation appropriate to specific situations. To this end, we have included many kinds of fixtures known to have been used to a considerable extent in public or private buildings and streets, ranging from the simple iron "T" to the elaborate crystal chandelier. Certain devices that were seldom used in America (if the contemporary pictorial evidence is a reliable guide) have not been discussed or illustrated. The emphasis has been on the norm, not the exceptions to almost universal practice. FrontispieceView of Boston and Sandwich Glass Company Exhibit, 1878. Overall, American gas fixtures ranged from the lavishly elegant to the starkly plain. This half of a stereograph shows the Boston and Sandwich Glass Company's display at the annual exhibition in Mechanics' Hall, Boston, 1878. It illustrates not only typical American glass chandeliers and wall brackets (commonly miscalled "crystal") among the most elaborate gas fixtures of the period, but also at the upper right a fixture of the simplest form, an iron pipe gas "T."
This strictly utilitarian "T" (which was not part of the exhibit) has six burners; the more typical examples had only two. Also illustrated on the glass chandeliers are the then recently introduced wide-necked glass shades on slender wire supports called "spiders," and the hanging triangular notched spear prisms that first appeared around 1850. Courtesy of the Sandwich Historical Society, Sandwich, Massachusetts. As with most scientific discoveries, no individual can be credited with the "invention" of gaslighting. As early as 1739 in London, John Clayton (1693-1773) reported the results of his "Experiment Concerning the Spirit of Coals" in the Philosophical Transactions published by the Royal Society. Clayton successfully distilled gas from burning coal but made no economically practical application of his discovery. During the rest of the 18th century, various experimenters demonstrated gaslighting on a limited scale without significant results. At the turn of the 19th century, another Britisher, William Murdock (1754-1839), raised gaslighting from the status of a curiosity to a practical alternative to candles and lamps. He accomplished this feat by distributing coal gas by pipes to light the Boulton and Watt Soho Works at Birmingham in 1798 and the Phillips and Lee factory at Salford in 1805. Perhaps even more significant than the success of the apparatus was the fact that the Salford factory was lighted by gas for a cost of £600 compared to £2,000 a year for candles. In 1808, the British scientific community recognized Murdock's achievement by awarding him the Royal Society's Rumford Medal "for a treatise on his application of the illuminating properties of carburated hydrogen [coal gas] for the purpose of furnishing a new and economical light." In the meantime, the French inventor Philippe Lebon (1767-1804) was granted a patent by the First Consul Bonaparte in 1803 for distilling illuminating gas from wood. Lebon's work attracted the attention of an enterprising and persistent German entrepreneur named Friedrich Albrecht Winzer (1763-1830), who acquired the Lebon patent. In 1804 Winzer traveled to England, where he Anglicized his name to Frederick Albert Winsor. He abandoned the use of wood gas for coal gas and set about organizing a company for the manufacture and distribution of the new illuminant. Winsor lighted an extensive segment of Pall Mall in London by gaslamps on June 4, 1805. He had business organizing abilities that Murdock lacked, and in spite of the latter's opposition, Winsor obtained a charter in 1812 from Parliament for the first gaslight company  The London and Westminster Chartered Gas Light and Coke Company. Thereafter, with the invaluable aid of a notable engineer named Samuel Clegg (1781-1861) and others, the company flourished. Gaslighting spread sporadically to other urban centers and then to smaller communities. It spread more rapidly in Great Britain and in the United States than on the European continent, but it eventually became the predominant 19th century illuminant in heavily settled areas throughout what was then called the "civilized" world. In the last two decades of the century, gaslighting was challenged by electric lighting, but gas remained popular for street lighting until the outbreak of the First World War in 1914. Specific data on the growth and chronology of American gas companies by geographic location are given in the text and notes accompanying plate 111 and in the Appendix of this report. The following illustrations and commentary cannot, of course, answer every question that may arise, but it is hoped that at least the main outlines of American gaslighting practice have been clearly drawn. To give an example of how modern concepts can subtly influence decisions erroneously, it was recently considered most appropriate to hang a crystal gas chandelier in the dining room of a circa 1860 house. 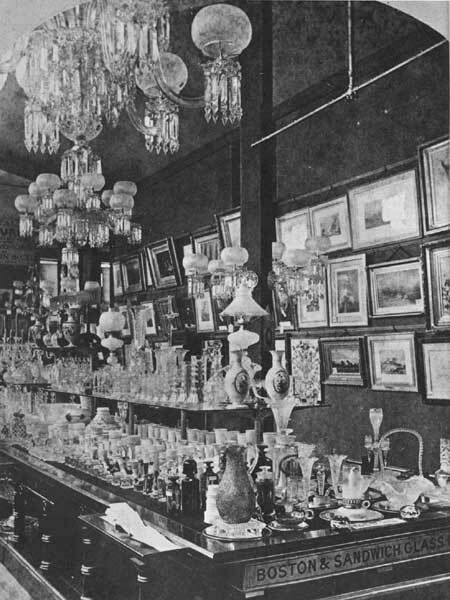 Contemporary evidence indicates, however, that crystal, or glass fixtures were almost never used in dining rooms, although they occurred with some frequency in parlors. Another instance of misunderstanding, in a restoration purporting to represent the 1860s, was the use of gas mantles which were not developed until the late 1880s. This report provides guidelines to prevent anachronisms and the misapplication of styles of fixtures, their burners and finishes. In researching gas fixtures, it is important to examine actual fixtures, as well as illustrative material of the period. First-hand examination of the lighting devices in this manner by the restoration artisan improves the quality of the restoration, and prevents two major errors. First is the misinterpretation of scale from either a distorted photograph, or an inaccurately drawn sketch. Second, is the failure to reproduce the correct finish on the metal and glass components of the fixture. Old lithographs, engravings, and photographs rarely suggest the correct color or finish. Only a careful examination of original fixtures that have not been improperly refinished, can serve as a true guide. The precise colors and shadings of brass, ormolu, "bronze" finishes, frosted glass, and so on, can best be achieved by carefully copying fixtures of the period to be represented. Finally, it should be remembered that it is preferable to use original fixtures rather than reproductions, provided that the suitable fixtures can be found. Exterior lighting has its own history and restoration problems. Because of numerous exterior photographs and streetscapes available from the 1860s to the present, determining appropriate style is generally not difficult. Stylistic changes did not occur as frequently with exterior lighting; in many areas the same lampposts remained despite modernizing improvements to the lantern. However, reference to pictorial evidence from the same general location, time period, type of building or street scene is important. Furnishing the gas for exterior lighting involves many of the same problems as for interior fixtures, such as complying with municipal codes. Before making any selection of gas fixtures, physical or documentary evidence must be present to indicate that gaslighting was used in the building or street under consideration. Capped gas butts in areas such as back corridors, attics, cellars, or butler's pantries may provide visible evidence. If no visible evidence exists, gas pipes within walls can supply convincing evidence, provided that they can be shown not to have serviced heating or cooking appliances rather than lighting fixtures. Because gas pipes were run within the walls and did not show, it is highly improbable that they were ever entirely removed when electric lighting was installed in a formerly gaslighted building. Therefore, if there is no physical trace of gaslight system within a structure, any documentary evidence seemingly to the contrary should be interpreted with the greatest caution. Having established by physical evidence or by a combination of physical and documentary evidence that the structure was once gaslighted, it could be ascertained by research in local archives whether the gas was supplied from a gas company or from a private gas machine. The use of gas is rarely a concern for preservationists, having been precluded by its scarcity, the increased restrictions of state and local building codes and, more recently, by the national concern for conservation of fossil fuels. For the few cases where gas lines and service are still intact, the following factors should be taken into account. The gas now available is not the manufactured coal gas used almost universally in the past. It is natural gas, which burns with a more intense heat than coal gas. Beyond that, there are certain dangers to be considered. Coal gas leaks were easily detectable by smell, whereas natural gas requires the use of an additive to give it a discernible odor. It was recently found that natural gas leaking into the fill near a foundation loses its warning odor and can travel along buried pipe into the cellar with explosive results. Under no circumstances should plastic pipe be used, because it has a tendency to split, permitting the undetected escape of gas. All pipe must be metal, and the completed piping installation must undergo stringent testing for leaks, as set forth in Gerhard's American Practice of Gas Piping (see Bibliography). Repairing existing pipe will require cutting into walls, floors and ceilings. Where an ornamental plaster medallion indicates the previous existence of a ceiling fixture, the restored fixture should be piped by raising portions of the flooring above, and laying the pipe between the joists. In a few instances, the upper flooring will be ornamental (i.e. parquet) and should not be disturbed, in which case, careful "excavation" of the plaster ceiling may be necessary. Chandeliers should be supported by iron brackets secured to adjacent ceiling joists and not supported by pipe alone. It is also desirable to support all but the lightest wall brackets by iron braces secured to adjoining wall studs or by utilizing expansion joints in masonry mortar joints. However, when it is not feasible to reinstall gas piping, electric light can be regulated with the use of low voltage transformers or silicon controlled rectifier "dimmers" to simulate the quality of gaslight. Despite the fact that electricity cannot convincingly imitate open flame lighting, which flickers occasionally, the color and level of light can be achieved. Until the introduction of the incandescent gas mantle, or Welsbach burner (circa 1890), gas burners gave relatively little light. The average flat flame burner, whether of the fishtail (union jet) or batswing type, did not deliver a maximum of over 16 candlepower under optimum conditions. Even the Argand burner, which was little used in America except for the center burners of slide fixtures (see plates 83, 84, and 95) and for some "portables," or lamps, gave only a slightly greater amount of light. Therefore, if electrical simulation of gaslighting is decided upon, dimmers or transformers should be provided. Candle socket bulbs should be used as the larger diameter of standard sockets destroys the desired illusion of gas burnertips. Candle sockets are actually larger than gas tips as well, but their size is more sympathetic in diameter to the real burners. The plastic sleeves with which electric candle fixtures are supplied should be painted dark gun metal grey, unless the fixtures originally had gas burners designed to imitate candles (shown in plate 15). The bulbs used to imitate flat flame jets should not exceed ten or fifteen watts at the most. A ten-watt glass flame bulb emits the amount of light needed to simulate a lighted fishtail burner. There are also bulbs available commercially that imitate gas mantles satisfactorily. It is difficult, dazzled as we are by the intensity of modern lighting, to realize how comparatively little light satisfied our forebears, but it is as important to restore the correct color and level of light as it is to restore the fixture. The history of gaslighting styles provides an interesting and sometimes amusing commentary on the needs and decorative aspirations of our 19th century citizenry. Some of the fixtures pictured herein were unique, others were commonplace to everyday life. Understanding the scope of the devices available, their typical uses, and their appropriateness to the historic needs of the project at hand will complement the numerous efforts required for the preservation of the fabric and character of historic structures today.